The 2017 Boston Auto Show comes to town tomorrow with a line-up that's unfortunately a little underwhelming compared to previous years. The show, which also goes by the name of the New England International Auto Show, is the chance for car enthusiasts in the region to see the latest models and concepts from automakers around the world. Toyota, Honda, Kia, BMW and the Big Three (GM, Ford, Fiat Chrysler) will all be there, but there will be other specialty cars as well. The show always comes right on the heels of the North American International Auto Show in Detroit, so everything gets previewed in the Motor City before some of them make the trip east to Massachusetts. By the looks of it, there appear to be only a few head-turners this year, making 2017 a light one in the automotive world. Autonomous cars continue to progress, with some very interesting entrants there, including the Chrysler Pacifica self-driving minivan. For the high end models, where horsepower meets design, producing beautiful fast sculptures, there is usually something to look at, including new cars from Bentley and Aston Martin. The Bolt, the all-electric SUV from Chevrolet recently named Motor Trend Car of the Year, will be there. The Kia Stinger looks like an interesting car in the affordable sedan/GT car market. The Boston Cup, the region's premier classic car show, will have some impressive historic cars there as well. And ... 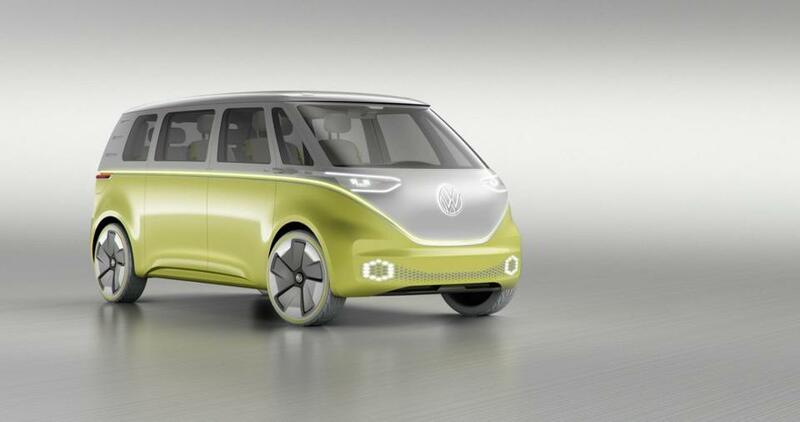 The overall winner of the "Strange But Interesting" Award goes to Volkswagen. Still battling their diesel emissions cheating scandal, VW decided to come back with a sentimental favorite updated for the digital age. The old hippie microbus has transformed itself into a self-driving concept called the ID Buzz. Also, be sure to check out my short preview of the new Bentley Flying Spur W12 S and the Aston Martin DB 11, two British beauties making their East Coast debut at the show. Doors open at 4pm. More information and tickets can be found at http://www.bostonautoshow.com/.